Papers, Pencils and Books, Oh My! : Go Monday! The day went by in a flash, but quite well if I do say so myself. I would have liked to practice math facts today, but I couldn't find my flashcards. Otherwise, a jam packed day that went smoothly with ice skating too! 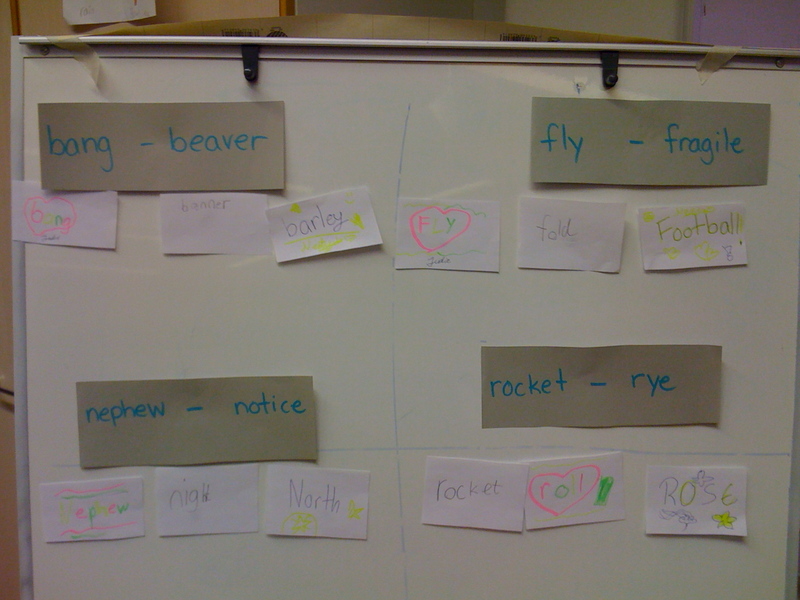 Last week I started some ABC order and dictionary skills. 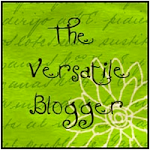 I found my ideas at The Lesson Plan Diva, but this is how I made mine work. I did a group lesson first. 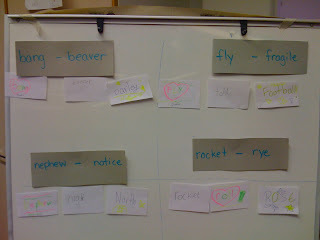 We discussed what a dictionary is, that it goes in ABC order and that the words at the top are the guide words. I still have some very basic My First Dictionary books in my classroom. I think I will go up to 3rd grade and take a few regular ones for them to practice with too. In small groups, the kids came over to the white board (there were 6 groups of guide words). They then choose which one they wanted to start with, and each had to write one word on a piece of paper (but couldn't pick the same word as anyone else). Then they put them under the correct guide words and then needed to decide together the ABC order of their 3 words they wrote. Worked very well. They seemed to enjoy using the dictionaries. Oh, they used blue tack to stick them to the board. I can't remember for the life of me what that reusable adhesive is called in America. Then the other groups were working on a ABC freebie that I found and then a small group was with me reading. They enjoyed this one as well. I want to also increase the difficulty of ABC order by looking at the 2nd or 3rd letter in the words. I might make some cards, and they will then have to place them under the correct guide words and then in ABC again.